Aluminum offers a wide range of properties and characteristics engineered to the demands of specific applications through choices of alloy, temper, and fabrication processes. When aluminum is anodized, it results in an extremely hard and durable surface finish. Cooper Robertson will be creating a master plan for the Georgia State University. Cooper Robertson has been selected to develop the next phase of a master plan for Georgia State University (GSU). 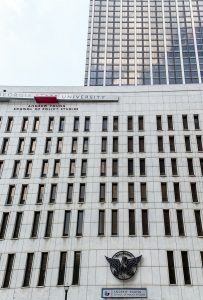 The work will help reshape and enhance the main downtown Atlanta campus, as well as five satellite campuses throughout the state. This is part of a medium- and long-term strategic plan underway at the public university that anticipates expanding to 60,000 students within the next decade. Key elements of Cooper Robertson’s work include planning for more students living on campus in Atlanta as well as creating a unified identity for the entire GSU system, which has grown over the past several decades to include facilities across Georgia in Newton, Alpharetta, Dunwoody, Clarkston, and Decatur. The GSU master plan update report and its specific recommendations is anticipated to be released later this spring.